Gentlemen, welcome to my world! Thanks for stopping by. I have a problem and you can help. These Ladies want to meet you! I recently conducted a world-wide search for the Perfect Traveling Companion and 2,000 women applied! I said on The Oprah Winfrey Show that I was looking for women who are Fun, Fit and Free to pursue travel and, possibly, a relationship. They are all that and a lot, lot more! I am 64 years old and women from 45 to 60+ applied. So, that’s my problem. I want you to meet these Ladies! It’s that simple. I have grown to know and feel great affection for these Ladies. We have spent the past six months together communicating via email (I received over 25,000), on the Senior Bachelor Blog and in person with two fantastic “Meet the Senior Bachelor Events” in Manhattan Beach and Chicago. I can vouch that all these Ladies are FUN, FUN, FUN! We are all close in age and life experiences and that made for sharing so much together. They are looking for Adventure and Romance and a FUN time! Aren’t you, too? 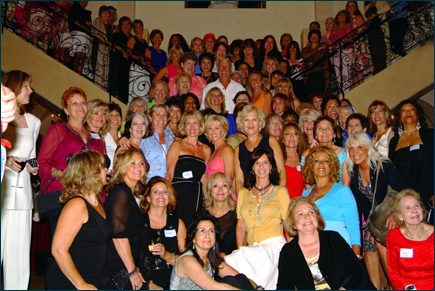 Chances are you were sent to this site by one of these fine Ladies because, as a group, they decided that they would send their male friends here to try to meet someone. Consider yourself a very lucky man! These women have formed great friendships and support each other—no jealously here. Spend some time on this website and learn about what they were responding to. Read my web page on "Relationships". Many of these women have taken the free Compatibility Profile from PerfectMatch and you should too as they will most likely ask your Compatibility Code. It’s free and takes less than 15 minutes. If it fits your budget, sign up for PerfectMatch as many of the Ladies have done so and you can meet that way right away. You should also sign up for the FREE Senior Bachelor Newsletter to keep up with current happenings. I am going to write often just to men in the Newsletter. The first thing I am going to discuss are the two top things women look for in a man. Remember, I met over 300 of these Ladies face-to-face, received over 25,000 emails and have blogged for six months with them. You will want to know what I have learned!! Cruise with us to Alaska in the Summer of 2006!! The Ladies are very excited about this cruise. We had sort of a trial run in Chicago where we took the Odyssey Dinner Cruise and we all had a ball! Look at the photos from our events on this website. Ask me questions or make comments on the "Men's Blog"
Shortly, we will post photos and biographies of the Senior Bachelor Ladies on the website, but only with their explicit permission. And, we will do the same for the men! When this is ready, you will have the opportunity to contact them by clicking on their photos. This feature will be ready very soon so bookmark this site in your Favorites. We’ll announce in the Senior Bachelor Newsletter when it is ready so be sure to sign up right away. This is not going to be a dating service. This is these Ladies wanting to show you they are ready for some FUN and Adventure. If it leads to Romance, so much the better for both of you. We may team with an online dating service to handle communications between you and these lovely Ladies. Imagine the hundreds of Ladies who want you to know they are ready for Romance and Adventure- and a FUN time! Senior Bachelor Cruise- Alaska Summer 2006! And, what is sure to be a real hit, we are going to go on CRUISES together!! In fact, the first Senior Bachelor Cruise is going to be the Summer of 2006 to Alaska! Imagine a whole ship full of Ladies that want to meet and spend time with you! And have FUN! You better rest up because you are going to be very, very busy. Come along for the Adventure of a lifetime. I’m here to help you in any way I can. Keep up with all the latest news on the Senior Bachelor's quest to find the perfect traveling companion. Find out where to meet the Senior Bachelor in person! Follow the selection and the trip around the world. Learn Richard's travel secrets and tips. 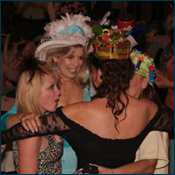 Sign up for the special Senior Bachelor Cruise Newsletter… and much, much more!